Jasmin Ojalainen is a 3rd year undergraduate student at City University London in the United Kingdom. She is a Journalism major and was recently assigned to write an article as a final project in a Science Journalism class. Jasmin chose to write her scientific article about ASMR. 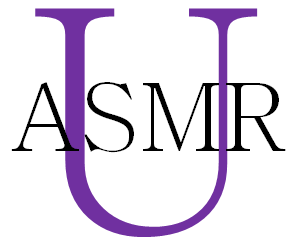 She interviewed individuals whom experience ASMR, ASMR researchers at the University of Sheffield, a neuroscientist at Liverpool John Moores University, myself, and she additionally included some data from the first peer-reviewed publication about ASMR. Popular triggers for ASMR include someone playing with your hair, cutting your hair, stroking your arm, drawing words on your back with their finger (back writing game), and/or examining you for health concerns (clinical exams). What do all these strong triggers for ASMR have in common? Being touched lightly has been perceived as pleasurable for a while. In contrast, the biological understanding of these pleasant sensations has only recently begun to be understood – and may help to understand ASMR. Amy Huffenberger is an undergraduate student in the Neuroscience department at Wooster College in Wooster, Ohio. She is doing her senior thesis project on ASMR, under the guidance of Professor Grit Herzmann Ph.D.
Amy shares her motivations, research objectives and challenges, and also offers insightful suggestions to future ASMR researchers. If someone wanted to measure oxytocin levels during an ASMR experience, or compare oxytocin levels in individuals that do experience ASMR vs individuals that don’t experience ASMR – how would that be done? There are two methods for directly measuring oxytocin. The first method would be to measure the oxytocin in a person’s brain and spinal fluid. The upside of this method is that these levels are probably most accurate for any effects oxytocin may be having on behavior. The downside of this method, as you might have guessed, are the safety issues and expenses with doing this. The second method would be to measure the oxytocin in a person’s blood. The upside of this second method is increased safety and decreased costs compared to trying to access someone’s brain and spinal fluid. The downside of this second method is that it is not known if the oxytocin measured in someone’s blood is an accurate reflection of the oxytocin in someone’s brain and spinal fluid. A recent research study published in the journal Molecular Psychiatry has determined if blood levels of oxytocin are an accurate measurement of brain and spinal fluid levels of oxytocin. The study also looked to see if the levels of oxytocin were associated with anxiety.